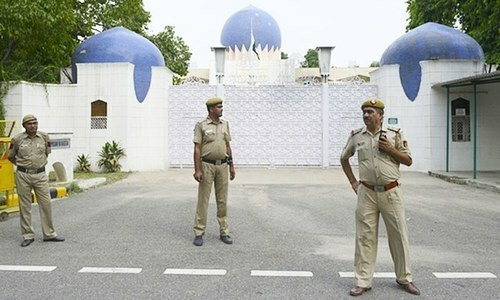 ISLAMABAD: An official of the Pakistan High Commission was arrested by the Indian authorities on Sunday and was released after the matter was raised by Pakistan, said sources in Foreign Office. The sources said that the High Commission’s official was arrested by the Indian authorities and was released a few hours later. They said the official was forced to sign a note before being released when the matter was immediately taken up with the Indian side. 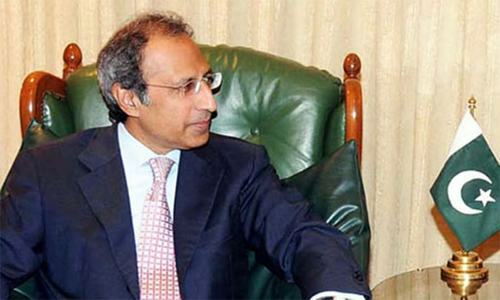 “Pakistan strongly protested this violation of the Vienna convention on diplomatic relations and reserves the right to respond,” said an FO official who requested not to be named. The sources in foreign office did not disclose the place where the incident took place. However, the Indian media claimed that the official had got involved in an altercation with an Indian woman in a market in New Delhi. Following the reported quarrel, the woman lodged a complaint against him at a local police station where he was subsequently shifted. The media reports said he was allowed to go after he apologised to the complainant at the police station. They quoted sources in the Indian government that there had been no arrest. Why do we even keep any sort of relations with India in the first place. They clearly don’t want any good relations. Its high time, just shut it down, bring back the ambassador and diplomats. I don't see anything big violation in this. The official had the altercation with a woman and police didn't want to take any risks. They just called the official for his statement and version and got that signed on paper and let him go. Police has adopted the SOP and didn't violate any conventions. It is detention and not arrest. Realease after arrest is only possible through court. No convention allow you to tease women anywhere in the world. "Official had got involved in an altercation with an Indian woman in a market in New Delhi". As because he/she is diplomat, has no right to have altercation and the Indian woman did the right thing by calling police. The police definitely calmed or resolved the situation and made the him/she leave after knowing that the person was diplomat. Diplomats of any country, have no right to involve in any altercations in that country. Due to fight with the India woman, the Pakistani diplomat was taken to police according to the law, and was released. This is India where institutions work as per Law. Vienna Convention does not allow diplomats to have fight in market, shops, and the Indian women has every right to call the police. When he has already been apologized why Pakistan is protesting? @Anonymouseeeee, Because India and Pakistan are brothers. This is all political gimmick don't fall into this trap cheap tactics. It's sad because we have elected these people who create differences for their own gain. Diplomatic status of any person does not give him or her a right to fight in the country where he or she is posted. In this case, it seems the diplomat status person has altercation with women which cannot be tolerated at any cost. @R K HASTIR Seriously dude? Like, seriously? @Anonymouseeeee, if you want to use deplomatic immunity to protect a person who harrassed women then please close the embassy. We also do not want such embassy in our country. @Imtiaz Ali Khan, very mature and sane post, more of this is needed from both sides. Also Point to note is not enough info available to start frothing in the comments section! @Ekta , Excuse me! were you there to confirm the incident or Mr Modi reported to you directly? @Anonymouseeeee, Its been long time since we're saying you the same thing! @Farzana, Go ahead please... Nobody cares. Routine law & order situation. Do not search for anything 'hidden' in this. Follow the law of the land and you are good to go! Cheers! 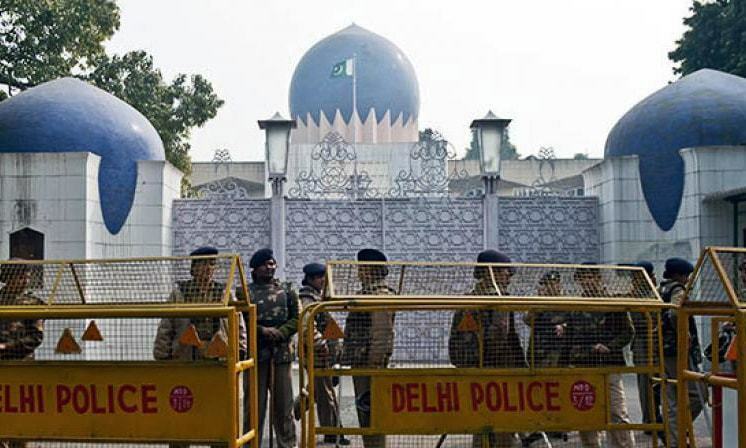 Pakistan should reduce the staff at the Delhi High Commission to the minimum required and it should be declared as a non family station of duty until relations improve. Why the diplomat doing altercation with a woman? Indian police did right thing. If a Indian diplomat do same in Pakistan, how Pakistani friends will respond? Will they say just let him go just because he is Indian diplomat? BJP is trying all the dirty games it can to win the election. Pakistan should close its embassy in India and ask India to pack up the bags and leave. Being a Diplomatic mission employee doesn't provides him right to misbehave any civilian and that too a Lady. Pakistani authorities should school him. @Ekta , If Indian side of the story is true, there should not be much hype about the incident. However, given the relations between the two countries, there is huge lack of trust thats only been upped with passage of time. There's no point in having diplomatic relations with India... Why not we recall all our diplomats from India ?? @Changez Khan, the "diplomat" was not appointed by BJP. It is Pakistan govt. Ask your FM why appoints such a person in foreign service. Keep talking. It may take another 100 years. But this the best option for peace. Economic Development of the region happens only when countries are at peace for decades. Indian top political and military leaders and Chinese top political and military leaders meet at regular intervals. This has ensured peace at Indo-China border , improved the trade , tourism and cultural exchanges. People should behave like a gentlemen while visiting and posting in outside the country. Behave properly and per rule in India. Clearly, our Foreign Office has zero idea of what the Vienna Convention, or even basic diplomatic customs/conventions entail. A diplomat, while having immunity from judicial proceedings, can be called in to answer queries, etc., especially if he/she has been involved in an altercation. Actually, Pakistan should be the one calling that diplomat back and suspending him - or moving him into another area, considering he has behaved in such an unprofessional manner. @Ashima Khatoon, Lucknow, I agree. @Imtiaz Ali Khan, Provide proof, instead of brushing wrong doing under carpet. @Gaurav, So true, diplomats are supposed to quietly walk away if they are insulted, cheated, mugged or anything. This is an incident which teaches us to apologize each other and look forward to have brotherly relations between the two countries. After all we are siblings from the subcontinent. Why did the diplomat pick up a fight with a woman in the market? This shows lack of diplomacy. @Farzana, Please that would be the best thing to do instead of dramas. 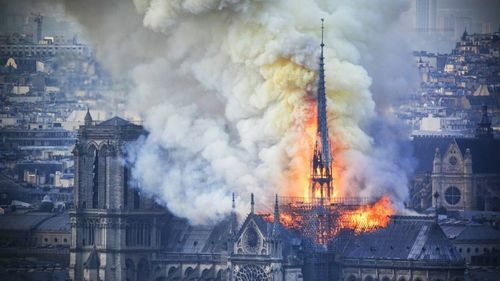 At the least, he did not just vanish into thin air as we frequently observe in some places to our own with nary a protest even if there were witnesses. Let's be thankful of such mercies. @Anonymouseeeee, ... Agree, ask IK to stop taking 2 steps! When there is an altercation in market with a woman and the woman call Police, Police are supposed to intervene. When knew about the diplomatic status of the other person, the matter might have settled without an arrest. If it was a non-diplomat /non-influential person, that person must most probably got arrested if that person was a man. Since it was in India, the official escaped arrest, if it was in U.S. the official must be arrested. An indian woman diplomat was arrested and cavity searched by U.S. for a few years back on the complaint of a domestic help. No one believe Indian’s saga about arrest, history full of their concocted and fabricated allegations and stories. India clearly lost iOK from their hand now they are bringing other countries in to blame pakistan and doing all kinds of tricks. @Sympathiser , Very good, but will you start the initiative? @Anonymouseeeee, what should the police do when a woman lodges a complaint against a man? In any case things were resolved amicably. 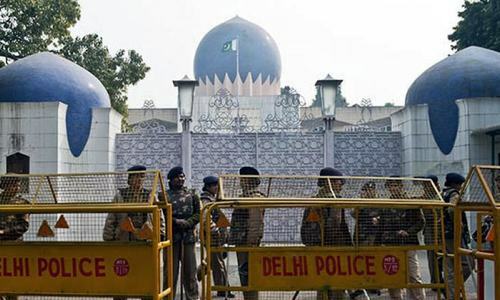 . . . . 'Pakistan embassy official had got involved in an altercation with an Indian woman in a market in New Delhi. Following the reported quarrel, the woman lodged a complaint against him at a local police station . . . . he was allowed to go after he apologised to the complainant at the police station.' . . .
India is not anymore capable of having normal diplomatic relations. The country is a boiling pot of hate crimes against minorities fuelled by daily hindu-fascist campaigns. Just take a look at their media. Not worthy diplomatic relations. Bring our staff back! @Sympathiser , And save our much needed foreign exchange. But then who will manage our proxies? @Ashima Khatoon, Lucknow, lets do this with an indian official and see if you still have the same opinion. OK, so the High Commission official had an argument with a woman, she filed a complaint, police intervened, he apologized and matter was put to rest, lets move on shall we, we need to quit acting like two spoiled kids on the block. @Sympathiser , What are you waiting for? @Anonymouseeeee, It is election year. Modi has to get votes. @R K HASTIR, did the law apply to the woman as well? How long did she remain in custody? Or maybe the laws only apply to Pakistani diplomats. FACT CHECK: Article 29. Diplomats must not be liable to any form of arrest or detention. @Suraj71, Article 29. Diplomats must not be liable to any form of arrest or detention. @Ashima Khatoon, Lucknow, try doing that to a low level official from the Chinese or American embassy. the Indians are really looking for Pakistan to carry out something similar, so then the various news outlets would be notified and then accusations would be made against Pakistan for breaking the Geneva convention. to all those traitors in our country who would like to cowtow to the Indians, I suggest you emigrate and live in Indian. @Hwh, Ask why women harass a diplomat. Do onto them asthey do onto you. India should close down its embassy in Pakistan and also shutdown Pakistan embassy in Delhi. There is no point of wasting money. There is absolutely nothing that India needs from Pakistan. A mountain out of a molehill. What was the police supposed to do? @Sabir Pakistani , are you sure? @Anonymouseeeee, eacxtly, here in India we also Don’t understand. We guys want nothing to do with u guys. No one has forgotten. The man had an altercation with a lady who called the police. The police calmly resolved the situation by taking statement from both and let him go as soon as he apologized. There was no arrest. If Indian diplomat misbehaves with lady in Lahore, will Pakistani police do anything different? @Anonymouseeeee, completely agree. You live happily there,we live happily here . What is the need of any relation at all? @Abhay , With a lot of respect. Pakistan has no hidden agenda, unlike India. @Kumar, Totally agree. Except for IOK, to be resolved, then build huge wall between the rwo countries. @Imtiaz Ali Khan, - Thanks for your feelings.Adaab. @Jay, - It must be hard for you to read the full text. Right here, even in DAWN, it says it was Indian media. @Changez Khan, - Changez Khan etiquette of harassing women is not acceptable in India, or for that matter, in ANY country. Pakistan ambassador leaving India will be a great favor! @Ajaya K Dutt, This ones is one of yours. @SAK99, There are thousands of Cameras in the city, so the recording is there with the Police. @Zak, first learn to write. "Why do we even keep any sort of relations with India in the first place. They clearly don’t want any good relations." What you give,you get in equal measures,why complain. As regards diplomatic relation,pls ask your government to withdraw diplomatic staff from India and we will also do the needfull. I have to agree with Indians here: why was that man harassing that woman? He should be fired immediately and sent back home for placing his country in such a position. India is a hostile country and all Pakistani service men and women must stay vigilant. @Ashima Khatoon, Lucknow, Just because you are a diplomat, you cant fight with every one on the street. The police did the right thing. Misbehaving with women is no excuse, especially if he is a diplomat representing the country. Bring him back and demote him. @Imtiaz Ali Khan, Hindus cannot be our brothers period.